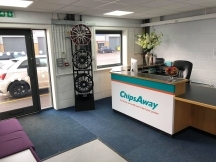 Phil Clifford-Wareham has been a part of the ChipsAway network since October 2016. 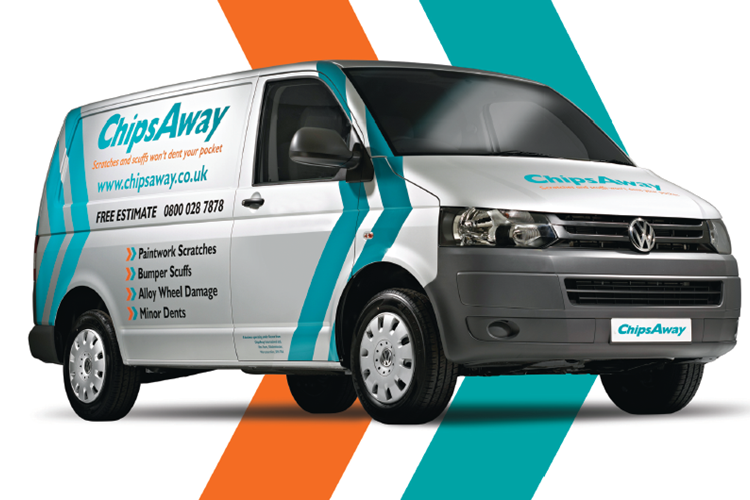 Starting as a man-in-van operation, Phil has gone on to open one of ChipsAway's largest Car Care Centres in the UK. 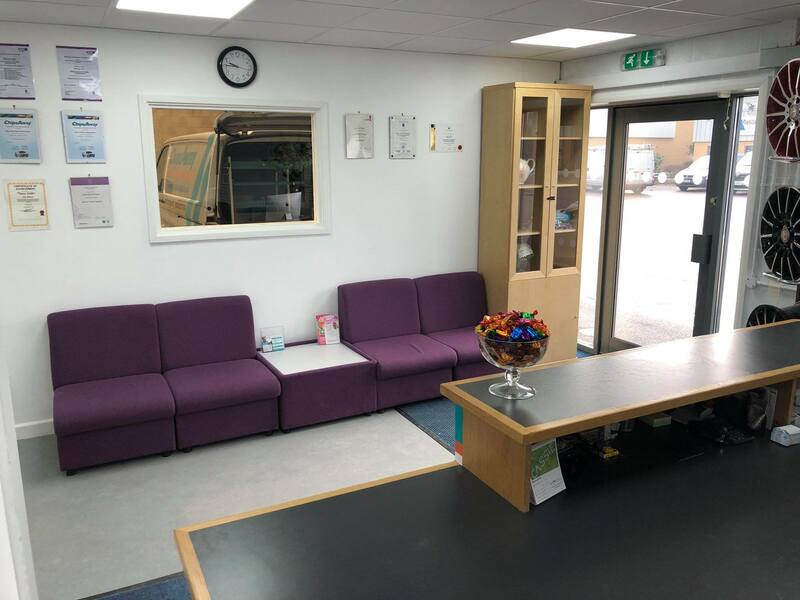 Based in Stoke-on-Trent, Phil and his team provide car body work repairs for Stoke and the surrounding areas, including Hanley, Fenton, Longton, Blurton, Blythe Bridge, Cheadle, Clayton and Newcastle. I was at chips away yesterday, ihad scratched my car and also dented the plastic trim. The manufacturers wanted £ 120 plus vat, for a small plastic trim ( 14 inches long) but phil managed to take it off heat the plastic up and basically perform magic. 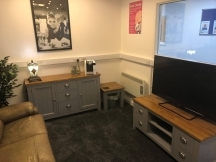 It was a brilliant job for a reasonable price i was really pleased, i would ... Read more highly recomend chips away lovely friendly staff very clean well equiped wating area. 10 out of ten isay. Chips away Stoke were very honest and helpful, the repaired my buckled alloy after driving through one of the many pots hole. The prices was brilliant and the team who i dealt with were excellent. Would defientley recommend! Would just like to thank everyone at Chips Away Trentham Trade Park Stoke on Trent for an excellent job and for all the help that offered. Chips away at Trentham lakes were professional right from the receptionist who couldn’t be more welcoming, through to Phil the owner, who gave me a reasonable quote and the job was completed within 2 days, very happy. Phil Clifford- Wareham - Stoke on Trent did an amazing job repairing a scratch on my door. I would highly recommend him and his service, he got me booked in within a week. The repairer was called Phil Cliffiord-Wareham. I never thought that the damage to my car could be fully fixed...how wrong was I! It's like a new car!!!! Such a professional service from the point of contacting Chips away to the handshake from Phil after the job was completed! My car was returned to it's former glory in just a few hours. Very well priced and the job was done at so little effort by myself. Really lovely people too. I would recommend Chips Away Stoke to anyone. Had my paint scatches repaired at ChipsAway Stoke on Trent. What a fantastic service from booking in to the finished repair. While you wait service took only 3 hours plus whilst I was there they repaired scuffs to front alloy wheel. I would recommend the Stoke branch for all your repair work without doubt. I visited chips away in stoke on Trent and received an outstanding service. I was booked in quickly, given a reasonable quote and the work was all done in a day where other places had suggested a week or more for what was a big dent in the side of the car. Now you would never have known it was there, it looks brand new! Brilliant and friendly service. Took the car to Trentham Lakes Stoke for repair to 'kerbed' diamond cut alloy wheel. They said it would be restored to factory finish and they weren't wrong. Excellent repair. Added bonus was the friendly efficient service and competitive pricing. Would highly recommend. Fantastic service from the Trentham Lakes centre. Highly recommended. Went to the Trentham Lakes, Stoke-on-Trent branch, and they did a fantastic job of repairing a dent on my bumper. Looks like new. 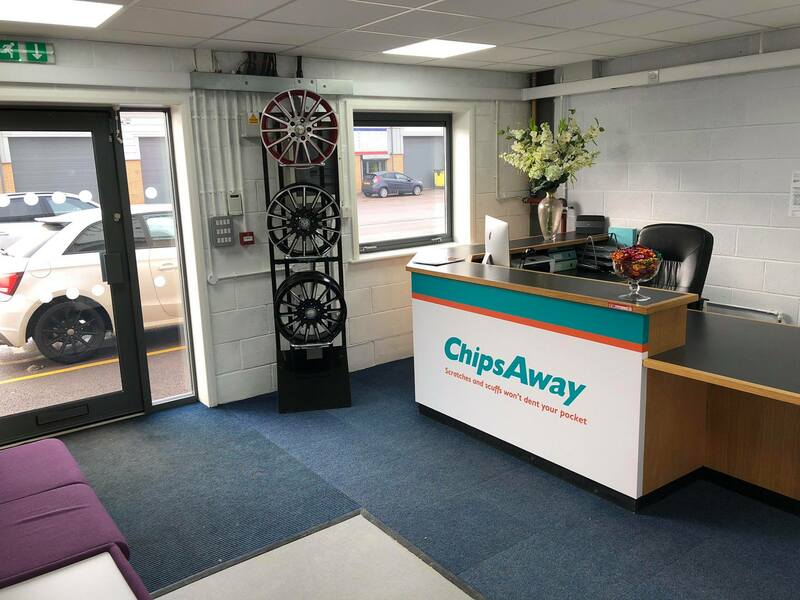 Where to start about the team at ChipsAway at Trentham Lakes. My rear bumper need work after being severely scuffed. From the initial call to book an appointment to the completion of work, I was made to feel like a member of the family. Cassie and the lads were brilliant. The work carried out was excellent, and in such a quick ... Read more time, looking at the repairs you would think a new bumper had been put on. I cannot express my gratitude to them enough. I would recommend anyone in the local area to get in touch with them. Once again thank you all at ChipsAway Trentham Lakes. After finding my front bumper & wheel arch scraped by driver unknown in a supermarket car park, Phil & the team have done a great repair job - now looks good as new! They even touched up several small chips around the car whilst they were on, free of charge, & provided a little take-away paint pot to use in the event of any further ... Read more unwelcome chips. Great quality & friendly service at a very reasonable rate. Thanks guys. Excellent service from very friendly and helpful staff at the Trentham Lakes Stoke office - would definitely recommend using them! From the first contact,this has been an excellent experienace. Cas at Trentham Lakes in Stoke replied to my query really promptly. The communication has been excellent and the speed the repair was booked in was perfect to fit around my work. Today the repair has been completed and what a fantastic job Phil has done. Significantly ... Read more cheaper and far easier than going through the insurance and my no claims remains intact, saving me a fortune on renewals. Great Job team, highly delighted, THANK YOU! Chips Away Trentham Lakes, Stoke on Trent I arranged an appointment with Chips Away at Trentham Lakes in Stoke on Trent, the appointment was at their workshops, I was provided with a lift home which made life easy. Very friendly people and provided a great service, more than happy with the quality of the repair. Highly recommended. Had a repair carried out to my bumper yesterday at Trentham Lakes site. Staff extremely helpful, and the repair completed to a very high standard. I would certainly recommend this company. Due to unforeseen circumstances, I used the services of the company Chips Away while staying in Stoke -on -Trent. I found both the staff and the completed job Chips Away offered to be nothing short of fantastic. The work they did in rectifying some small scratches on my motor vehicle was perfect. They brought the condition of the ... Read more vehicle back to as good as new. Further, I was under some severe time restraints but the staff from the original contact with a lady in their office to their tradesman Phil, went to a extreme lengths to accommodate my requirements. I really feel that I would be hard pushed to find a better company to deal with. Further, their pricing, I felt, was very reasonable. 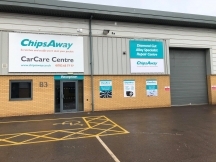 I have absolutely no hesitation in recommending Chips Away in Stoke, to anyone requiring damage to their vehicle professionally repaired. 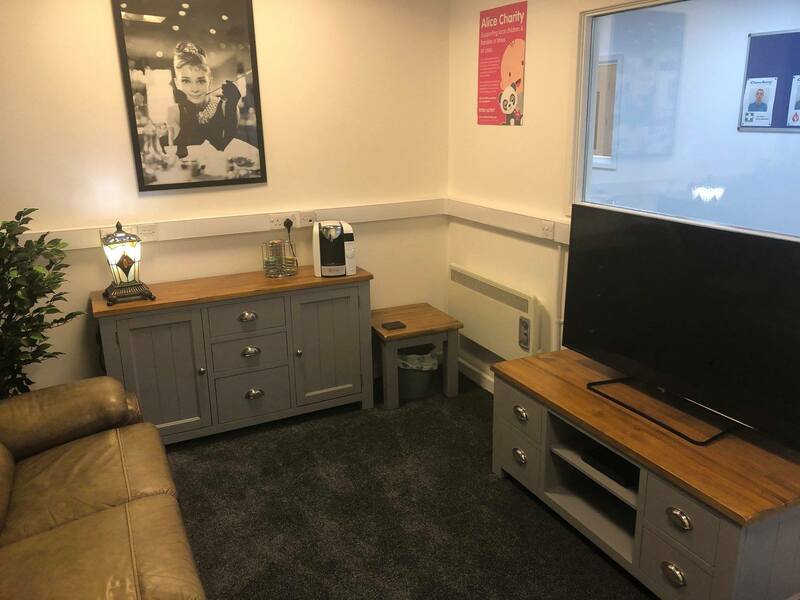 An absolute pleasure to deal with this company from start to finish!Exactly how a business should be professional friendly service,clean tidy reception and seating area,welcoming reception staff. Alloys repaired on day to suit me,completed on schedule look like new! Wouldnt hesitate to use again or recommend. Would be nice to ... Read more have more companies anxious to please the customer and to give first class service as this business does!!!!!!! Ford Mondeo.... excellent job, very impressed and done in the time said.. Will definitely use again if needed and a big thank you to reception for your help. After waiting for a local garage to give me a quote for over a week I visited Chips away in Trentham Lakes, Stoke on Trent. I received a very professional and welcoming service from Caz who answered any questions and queries I had. Phil who did the work on the car did an amazing job and managed to get the damage out of the sil of ... Read more the door and then the scratches off the side. I would highly recommend Chips Away and use them again myself if I ever needed to. Thanks to everyone at ChipsAway, Trentham Lakes. Excellent service throughout. Very happy with results, my car looks new again and thank you to Cas for making me and my daughter feel most welcome in reception. Just picked up my car after having my diamond cut wheels refurbished.They told me they would look like new when they were done and they weren’t kidding,brilliant job recommend them any time. I received a very friendly and helpful service at Chips Away, Trentham, Stoke on Trent. The staff inspire a lot of confidence in their ability to do a first class job and this is exactly what they delivered. I was very pleased with all of the body work they repaired on my metallic blue bmw car. I highly recommend their service and work.